Ben and Andrea have a simple philosophy to make varietal wines that enhance food enjoyment and express the unique cool climate qualities of the vineyard. NEW VINTAGE RELEASE The 2017 Heathfield Vermentino is aromatic and richly textured with firm acidity. Delightful citrus zest, pear and white peach flavours ensure a perfect match with various foods, especially seafood and leafy salads. NEW VINTAGE RELEASE The 2017 Shady Violet Pinot Gris is vibrant and refreshing with abundant green apples and citrus, underlying mineral notes and hints of leatherwood honey. With a balanced acidity and clean, crisp finish it is the perfect partner to Asian cuisine. The 2013 vintage is SOLD OUT! However, good news is the 2014 is ready to order now! The 2014 Heathfield Cabernet Sauvignon imparts an abundance of dark berry flavours, herbaceous overtones and silky tannins. It is a well balanced and elegant wine with a rich smooth palate reflecting a distinctively regional style. 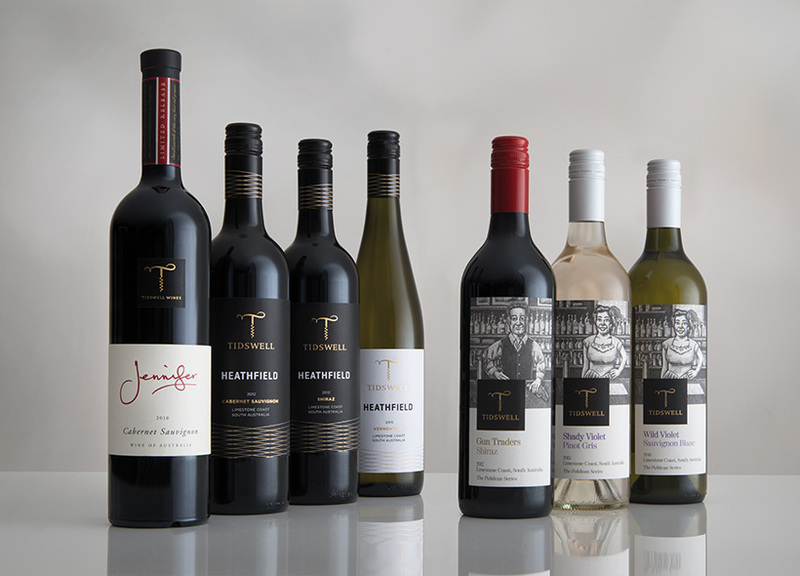 The 2013 Heathfield Shiraz is now SOLD OUT! Good news is the 2014 vintage is now ready to order! The 2014 Heathfield Shiraz presents a colour and bouquet of luscious ripe berries. A well balanced palate with complexity, this wine blends silky tannins with savoury redcurrant and plum flavours and a just a hint of spiciness, to result in a classy wine of generous length. 2012 vintage now SOLD OUT! New vintage 2013 now available! The 2013 ‘Jennifer’ Cabernet Sauvignon is a tribute wine in memory of its namesake whose laughter and passion for life was unforgettable. 2014 vintage is now SOLD OUT! New vintage 2016 now available to purchase here! Select Shiraz parcels were taken from our family estate vineyard on the Limestone Coast, to produce this excellent ‘food’ wine, characteristic of our region. A full flavoured Shiraz, with a bouquet of rich, dark berries, the subtle pepper and spice is balanced with superb oak characters leading to a smooth, satisfying finish. Select Sauvignon Blanc parcels were taken from ‘Tank Block’ on our family estate vineyard on the Limestone Coast. Bursting with melon and citrus flavours, this wine presents an inviting bouquet of freshly squeezed limes and balanced acidity with a clean, crisp finish.